Rowena Farre was a mystery. Was she born in India or London? What was her real name and ancestry? Was her first book (Seal Morning) an autobiography or fiction? It was a mystery that after the success of that first book and the presses' intrusive interest in 'solving' it that made her more consciously elusive than ever. It is, like many manufactured mysteries, probably redundant to an enjoyment of her work. 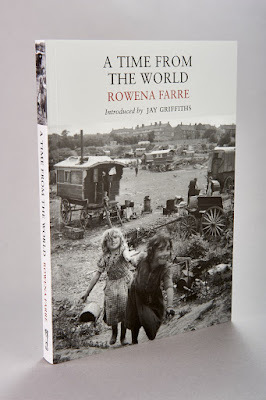 Like any life her's was part fact, part creative memory, part fabrication - if only the fabrication of presenting your better part - but, on the evidence of her second book, 'A Time from the World', Farre was not a fantasist but a person drawn to a way of being in the world at odds with (yet deeply alluring to) the mainstream. One of the consequences (after a retinal tear in the eye) of being told to read less (advice that was happily overturned by a more senior doctor 48 hours later)* was rediscovering the joy of listening to BBC radio. This was joy was not focused on the news output. Here the Corporation slides to new lows (often in the misguided pursuit of 'balance' or the pursuit of 'artificial' conflict rather than illumination) for which see its coverage of climate change where it pretends that the science is not settled - and the outcomes every day more sadly vivid - and allows pedlars of falsehood on (with no scientific credentials whatsoever) like Lord Lawson slithering with their snake oil of 'denial' that goes unchallenged by the interviewing journalist. 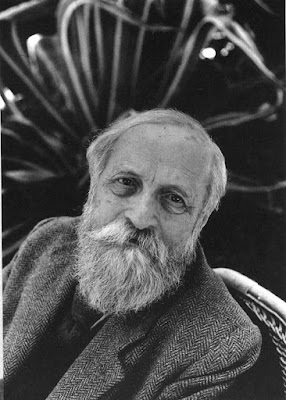 This week I re-read my first book on Martin Buber. While still at school, my interest had been stimulated by a chapter in Anne Bancroft's book, 'Modern Mystics and Sages' and one morning in the Heythrop library, now a student, I found Aubrey Hodes' 'Encounter with Martin Buber'. I read it at one sitting fascinated by its blend of personal observation and illuminating discussion of the heart of Buber's thought and practice. These two being intimately related - though Buber, at times, reads abstractedly, nothing could be further from his intention. His words were always intended to be rooted in life and to give direction to life.